On Wednesday, occupational therapy students, instructors, and practitioners from all over the country gathered in Nashville for the AOTA Annual Conference. “Music City” is a great town, and lives up to its nickname, as you can hear live music at any time of the day streaming from the open doors and windows of bars and restaurants. The Welcome and Keynote speeches were Thursday, followed by the opening night reception in the exhibit hall, where attendees had the opportunity to mingle with their colleagues over drinks and food. This is a great time for everyone at F.A. Davis to get to talk to instructors and students and show off new and upcoming products, like Bailey’s Research for the Health Professional and Kinesiology in Action. Jennifer Lape, one of the authors on the Research for HP text, signed books for instructors and students who stopped by our booth. Our Nutrition and Diet Therapy was used as source for an article on vitamin supplements. Read it here. 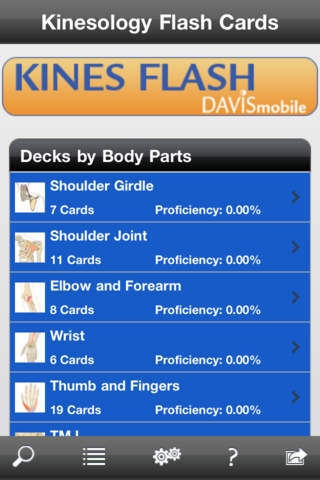 Today and tomorrow only, the Lippert Kinesiology Flashcards App is only $1.99 in the iTunes and Google Play stores. Get it before it goes back to its normal $14.99 price on Wednesday. This is a great tool for reviewing the muscles, by body region, from head to toe. Also, whenever you have trouble with a pronunciation, just click a button on the screen and hear how it’s properly pronounced. Interested in a quick online reference of definitions specific to your discipline or condition? Click here to give us some feedback on some ideas we have brewing.